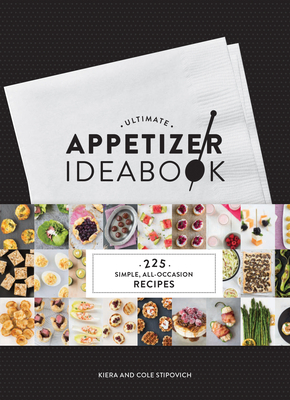 Ultimate Appetizer Ideabook is a cook's gold mine. Chock-a-block with updated classics, modern-day favorites, and totally unique recipes for hosts of all skill levels, every single preparation is photographed so party planners can envision their array of treats. The 225 recipes cover everything from dips, spreads, and one-bite nibbles to heartier fare requiring a fork or a spoon as well as a section of little sweets perfect for an all-dessert soiree. Whether hosts want to add snazzy new offerings to their repertoire, establish a set of quick recipes for impromptu gatherings, or just learn to make basic appetizers, this chunky, distinctively packaged little volume makes an exceptional pair with our bestselling Ultimate Bar Book. Kiera and Cole Stipovich are the founders of Cole + Keira Photography, a wedding and family photography business. Kiera also runs a blog and custom-baking service at SweetKiera.com. They are based in Boston.